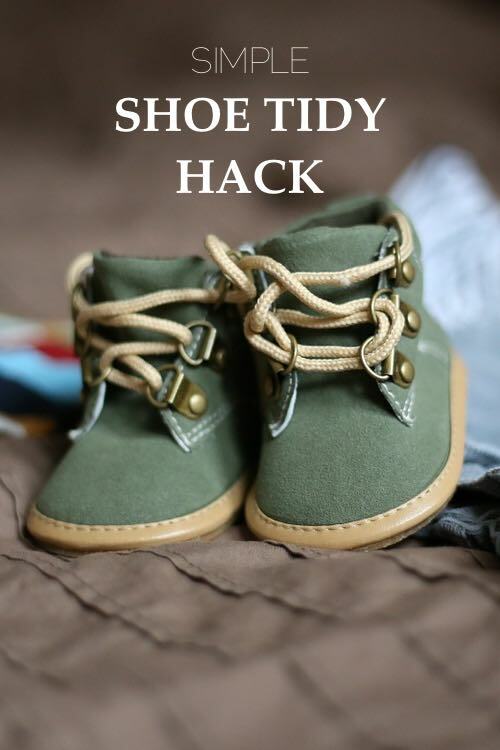 Can you ever find your children’s shoes? Or are they like mine? They take them off whenever they feel like it. One in the garden, one near the toilet, one under the bed. How are you supposed to find them? Quick! Let’s all look for Dante’s shoes. 10 minutes later and we’re all still running round like headless chickens. I want to SCREAM! Yep! That’s my life. Or at least it was until my friend came to stay and realised what chaos it was. “Why don’t you have a shoe basket?” she asked. 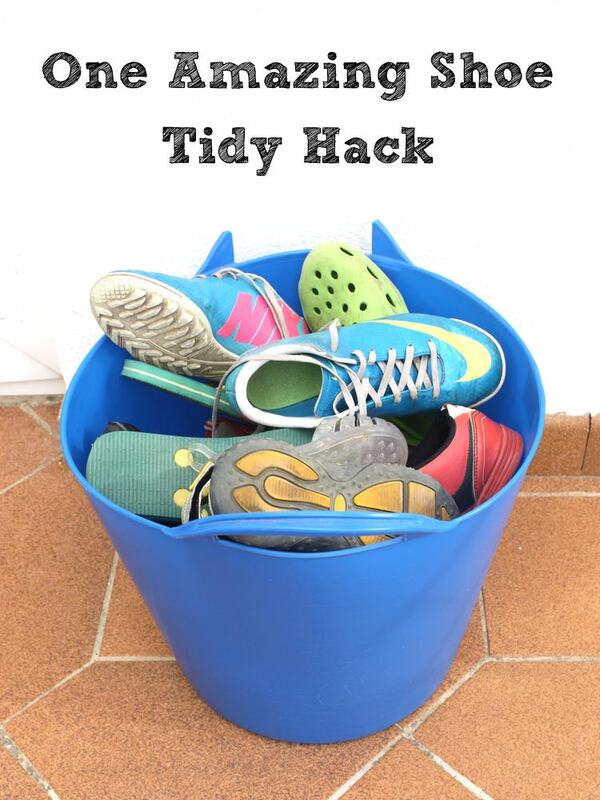 This simple shoe tidy trick. It’s not short of a miracle. One of those things you just don’t notice because they work so well. I haven’t had to search for shoes for months. Well, at least not regularly. I bought two brightly coloured plastic baskets for the grand total of €5. I keep one up stairs and one down stairs. In theory the children are trained to put their shoes into the baskets. In reality, whenever I walk past a stray shoe I put it into one of the baskets. Often the pairs aren’t in the same basket but that doesn’t matter. There are only two baskets, it’s not far to the other one. That’s it. Two baskets. Shoes don’t live anywhere else. It’s fabulous! Now I just need to train my 2 year old who has a thing about shoes to stop tipping them up side down and putting on all the shoes. 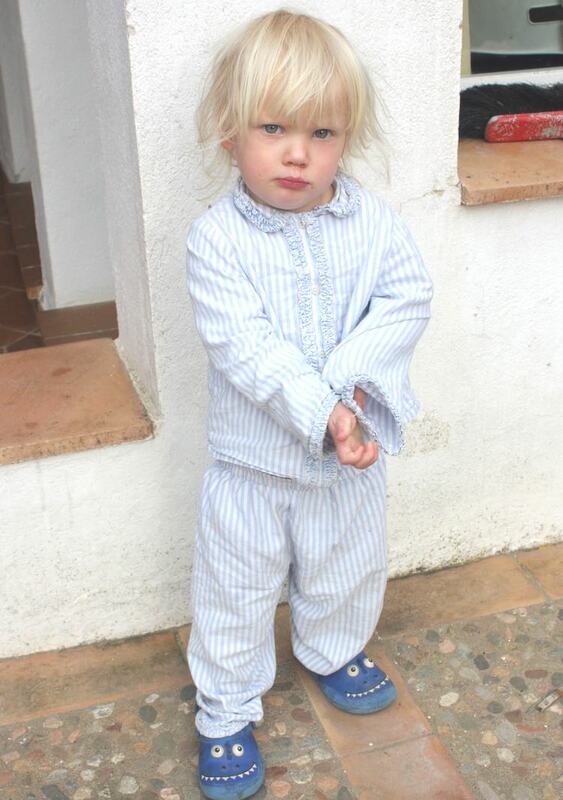 But she is so cute with her big brother’s shoes on!